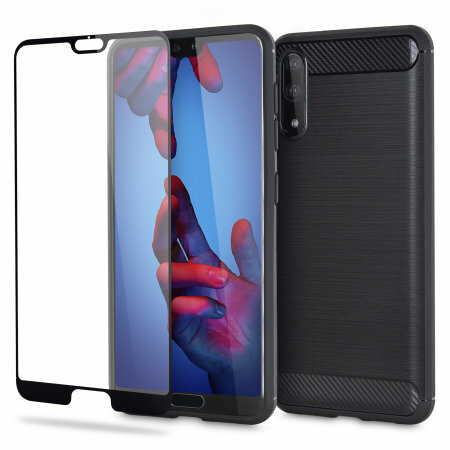 Flexible rugged casing with a premium matte finish non-slip carbon fibre and brushed metal design, the Olixar Sentinel case in black keeps your Huawei P20 protected from 360 degrees with the added bonus of a tempered glass screen protector. I love the look of the case and screen, very neat and smart. Unfortunately the corner of the screen cracked within a week. I know I didn't drop it but it looked like it had been roughed up at the edge, perhaps I didn't apply it properly but still very happy. The glass screen isn't protected by the back, mine cracked within a fortnight. But the back is ok, seems fairly robust so far. Cracked within a few weeks. The case isn't at all what I expected, very flimsy whereas the name sentinel makes you think it'll be a hard case but it's not. The screen was poor, it cracked within a few weeks for no particular reason; the phone wasn't dropped or hit or anything. Sorry to hear you are not happy with this item. Some charging leads have bigger heads than others, but I believe the official one that comes with the phone should be fine. Can you please contact our Customer Services team so we can investigate further for you.